In my June "In Good Faith" column I discuss annoying songs that get stuck in our heads and why it's great to have a clarinet-playing 11-year-old in the house. I can’t get the Pink Panther theme music out of my head. This isn’t too bad as far as songs stuck in your head go. It could be much worse and it usually is – think soul killers like “Achy Breaky Heart” or “Who let the Dogs Out.” Or like the time we took our boys to Disney World and got stuck for twenty minutes inside the “It’s a Small World” ride when it experienced mechanical failure. Being trapped I could deal with; unfortunately there was no corresponding problem with the soundtrack which continued incessantly. 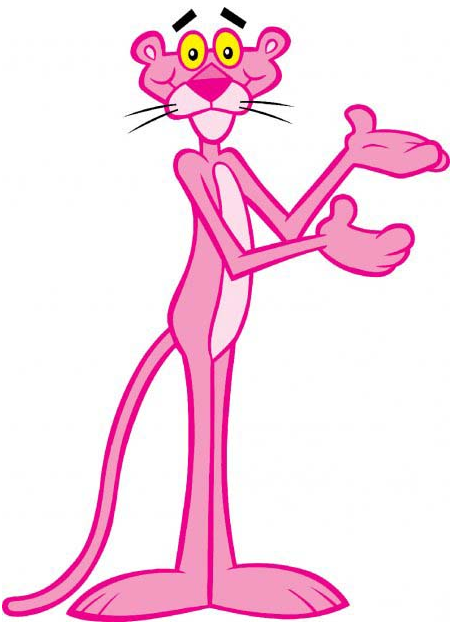 I’ve been humming the Pink Panther music ever since my 11-year-old son Zack started playing it on the clarinet. He’s been taking lessons for a year-and-a half and is actually very good. He must be a natural because we never had that hideous squeaking noise typically associated with beginning clarinet players. You know, the one that sounds like a chipmunk being run over by a Prius. Why the clarinet? Well, there are two theories here. If you ask Zack he’ll tell you he chose it because that’s the instrument played by Squidward in SpongeBob Square Pants. But I’d also like to think he was drawn to it because it was my late father’s first instrument before he went on to a career as a Grammy Award-winning symphony orchestra conductor. My boys never knew their grandfather – he died of cancer at 52 the year after I graduated from college. They have, however, heard many stories and have listed to CDs of his recorded music. 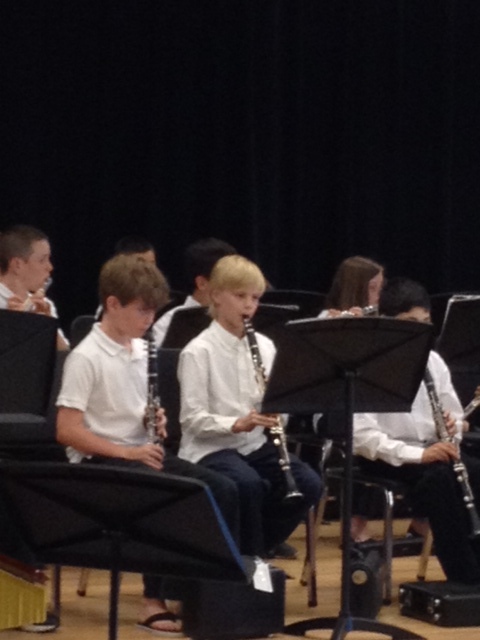 When Zack first took up the clarinet – he had to pick something to play in the school band – he told me he wanted to “follow in Grandpa Andrew’s footsteps.” That’s the kind of thing that, no matter how much your kid might drive you crazy at times, melts your heart. I’m just glad to see that one of my kids picked up the music gene. My father’s talent was not nearly as hereditary as I might have liked. Which is just a fancy way of saying that I quit many instruments growing up. From the violin to the piano to the French horn, nothing stuck. I was too busy working on my future career as the Baltimore Orioles’ shortstop to bother practicing. There’s something wonderful about watching your children embrace a family trait or tradition or simply a shared passion. It might be a sport or woodworking or dancing or reading – the possibilities are limitless. The most important thing we can pass along, of course, is our faith. We can do this with words but it’s often the example that makes the greatest impact on our kids: how we live our lives, our priorities, the ways in which we treat other people, our demonstrated commitment to God. If you want your child to be a person of integrity and faith, wouldn’t you spend at least as much time modeling such behavior as you would educating him how to change the oil on your beloved roadster or teaching her how to use a lacrosse stick? So I’ve been gladly putting up with the Pink Panther theme song. I know Zack won’t be playing it forever and if I could freeze this moment in time I would. 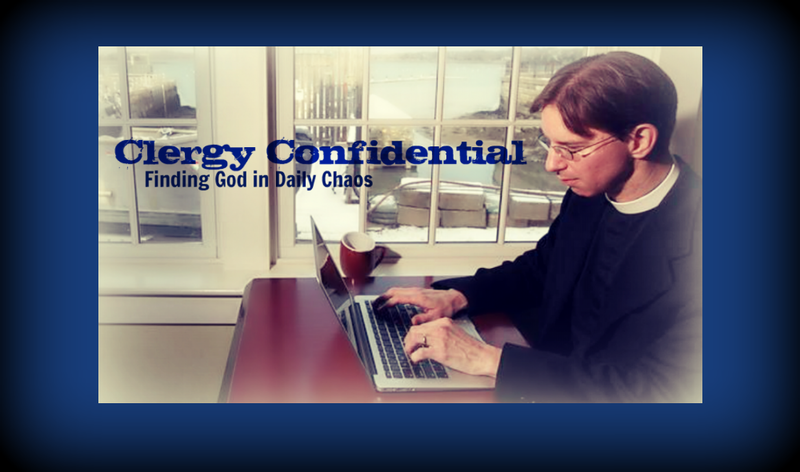 Since I became a bona fide addict of LENT MADNESS, I have always described you as that quirky priest who created my favorite Lenten activity of all time, in sermon and e-mails galore. Today's column just made my heart glad. As a retired music teacher in secular life that enabled me to be a Vocational Deacon, I rejoiced in your appreciation of your son's musical gift and tribute to your own father. Believe me, there are worse soul killers than "Achy.....", although I can't think of one right now...Well, You Light Up My Life" is a tad treacly. Please rush 2013 along. I'm not getting any younger here and pine for the next GOLDEN HALO. Loved the coffee columns. More and more folks at the Cathedral are getting to know you courtesy of moi. You may thank me at your leisure and the invitation to visit Nashville and Christ Church Cathedral still stands.